Pictured, Missouri men, Kyle Wayne Williams and Jordan Hall, who were sentenced for dragging a kitten behind a cat and killing it. Kyle Wayne Williams and Jordan Hall two Missouri men are handed the maximum sentence after dragging a kitten behind a jeep and killing it while filming and posting the incident on social media. Two Missouri teens have been convicted on animal abuse charges after dragging a kitten behind a jeep last June. 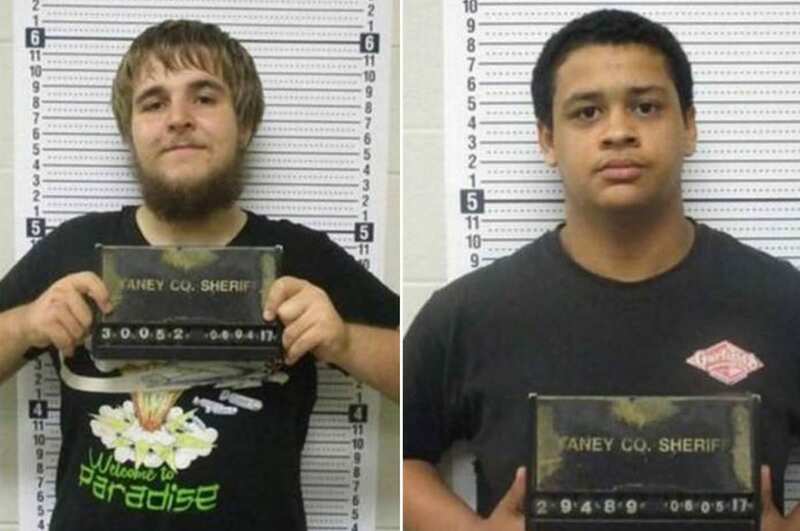 The incident came after Kyle Wayne Williams, 18, of Branson, and Jordan Hall, 19, of Arnold, having posted the ‘incident’ on social media in a bid to get viewers to spring for a pizza. The Kansas City Star reported the two men each been sentenced to four years in prison for animal abuse, the highest possible punishment under state laws. 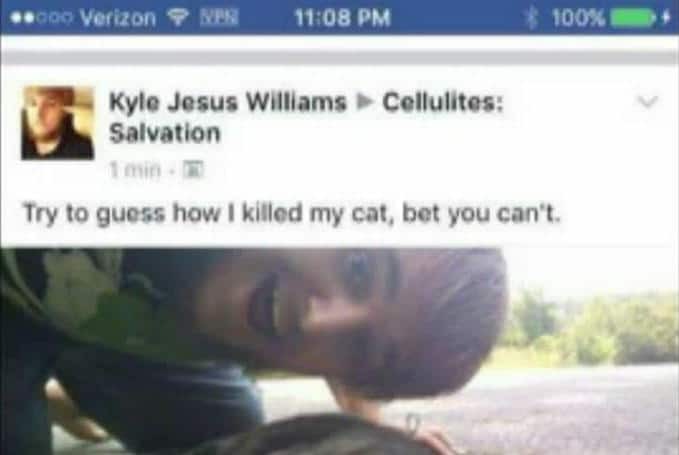 The sentencing followed Kyle Williams and Jordan Hall pleading guilty earlier this year to the charges in connection to the torture and death of the kitten. Williams posted a video of the torture to a Facebook group. 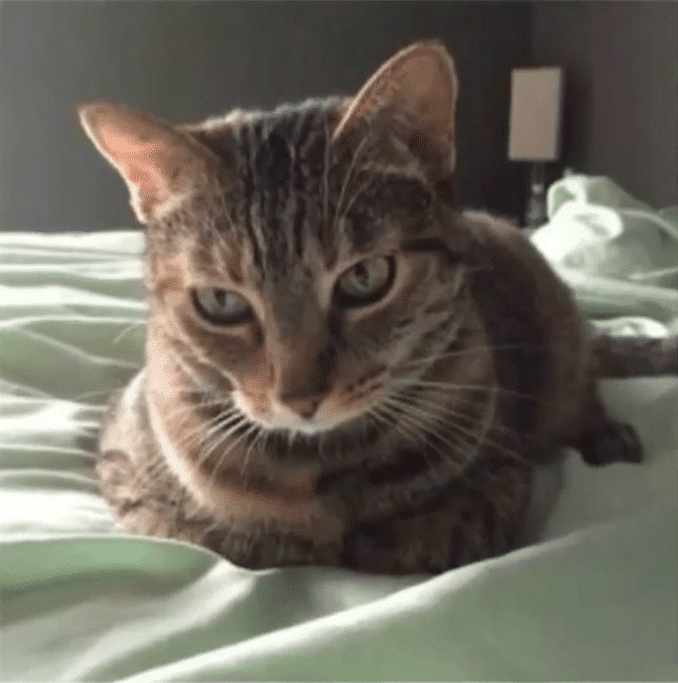 The video purportedly shows the cat being dragged behind the vehicle as Hall drives. At the end, Williams kills the kitten with a rock (cause it wasn’t quite dead yet). According to a prosecutor, Williams posted the cat’s murder on Facebook so his audience would buy him a pizza. The act though didn’t go down too well with everyone, with some alerting authorities reported the Branson Tri-Lakes News at the time. Following Friday’s sentencing, the prosecuting attorney said that the defendants had received the maximum sentence for the animal abuse charges. While in custody for the animal abuse charge, Williams reportedly sharpened a spork into a shank. He was sentenced to an additional five years. Kyle Williams and Jordan Hall: How we tied a cat to a car bumper and dragged it to its death (while videoing). Pictured the cat, Kyle Williams and Jordan Hall, tortured and killed.